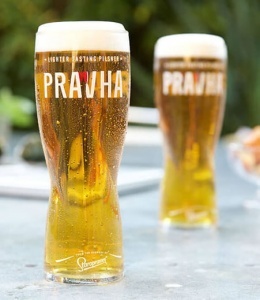 Official Pravha branded pint glass featuring the Prava logo on the front. The nucleated base ensures the head of the pint will stay intact for longer allowing your customers to enjoy the high quality Pravha taste for longer. Toughened pint glass, CE marked at 20oz to ensure every pint of Pravha is accurately measured.